I am very satisfied with the overall look and quality of this item. The Christmas design was perfect. Not to overly done, yet getting it's point across. I loved the little cannons on the sweater and the classic Christmas sweater look. 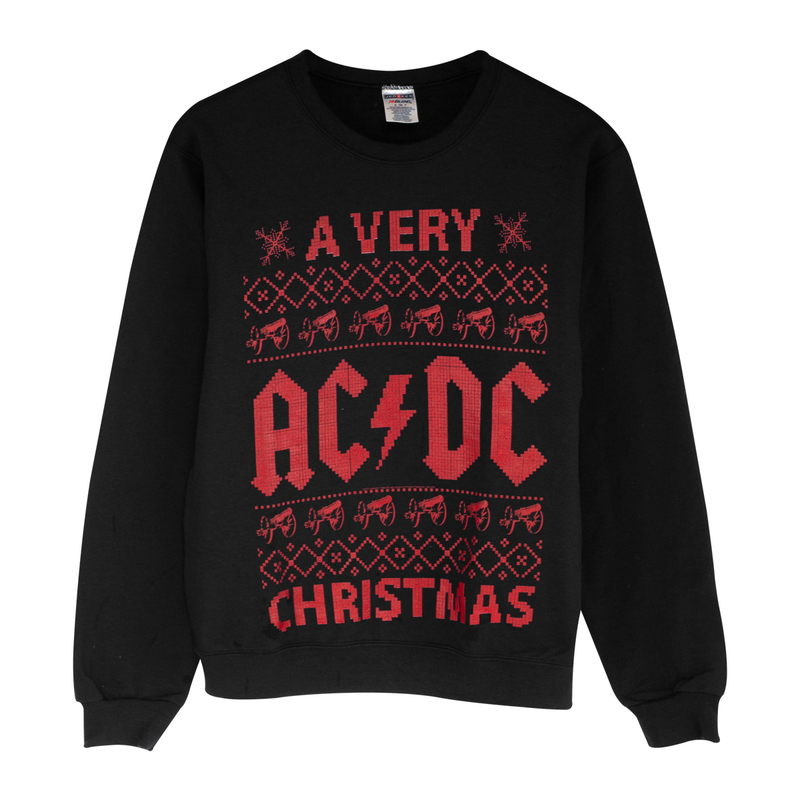 I have received many comments from family, friends, and co-workers who say "I like your AC/DC sweater", or "Awesome sweater". All of these people knowing I'm a dedicated fan to the greatest rock n roll band in the world, AC/DC. I love it! It is very plush and the design looks really sharp. The red color is super vibrant and the sweater itself is really soft. This was my first order from here and I am super pleased with my purchase.